Size 1: For users 5'7" and under. 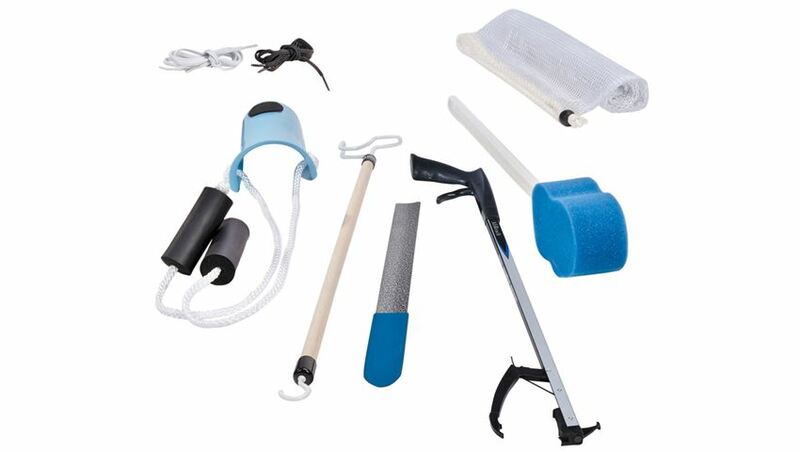 Includes 18" Shoehorn, 26" AliReach Standard Reacher, Standard Sock-Aid, Dressing Stick, 2 pair of black elastic shoelaces, two pair of white elastic shoelaces, hourglass-shaped, long-handled sponge and a washable, reusable mesh bag. Size 2: For users 5'7" and under w/wide foot. 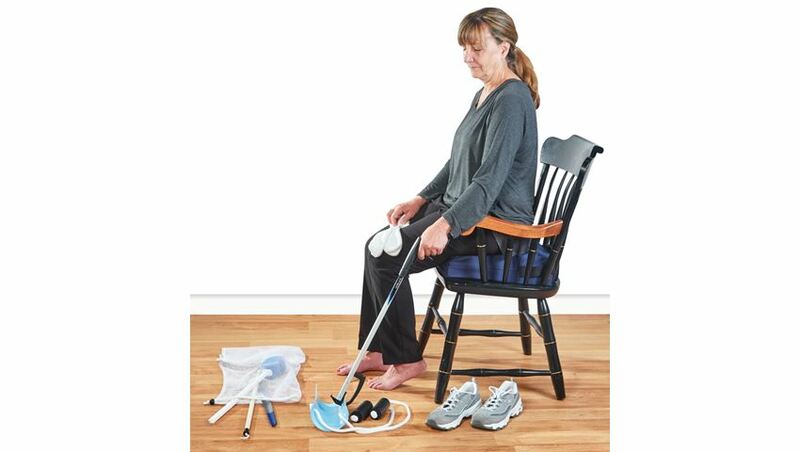 Includes 18" Shoehorn, 26" AliReach Standard Reacher, Extra-wide Sock-Aid, Dressing Stick, 2 pair of black elastic shoelaces, two pair of white elastic shoelaces, hourglass-shaped, long-handled sponge and a washable, reusable mesh bag. Size 3: For users over 5'7". 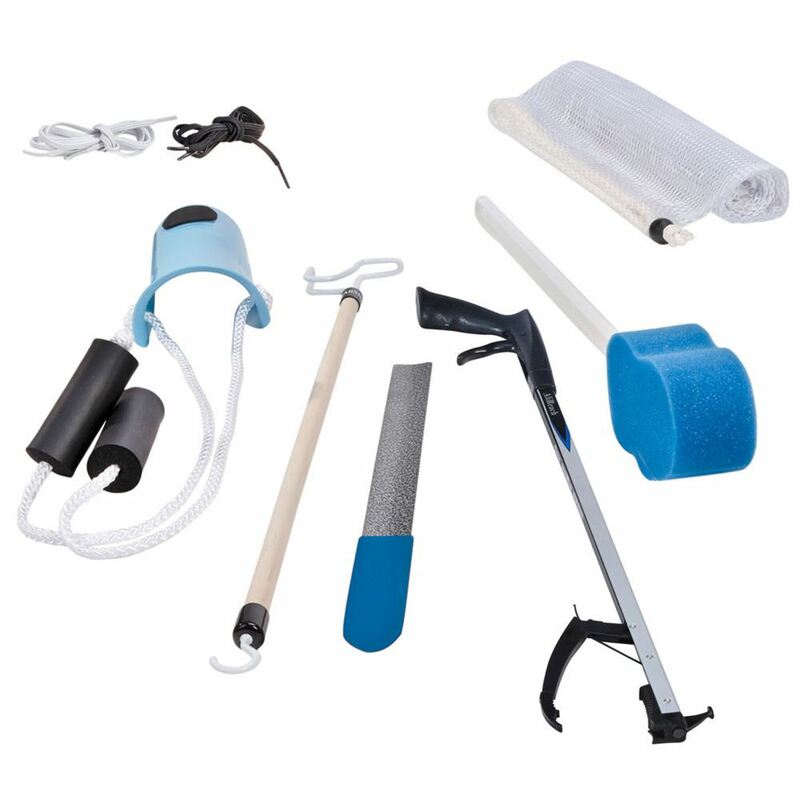 Includes 24" Shoehorn, 32" AliReach Standard Reacher, Standard Sock-Aid, Dressing Stick, 2 pair of black elastic shoelaces, two pair of white elastic shoelaces, hourglass-shaped, long-handled sponge and a washable, reusable mesh bag. Size 4: For users over 5'7" w/wide foot. 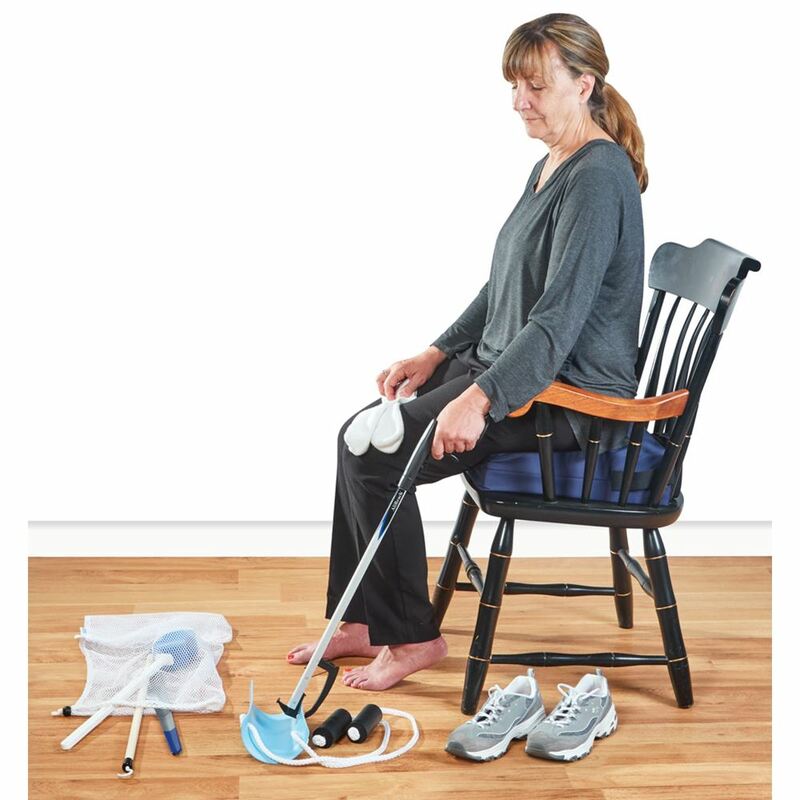 Includes 24" Shoehorn, 32" AliReach Standard Reacher, Extra-wide Sock-Aid, Dressing Stick, 2 pair of black elastic shoelaces, two pair of white elastic shoelaces, hourglass-shaped, long-handled sponge and a washable, reusable mesh bag. Kits ship same day if in stock and ordered by 3 PM, Eastern time, Monday-Friday.